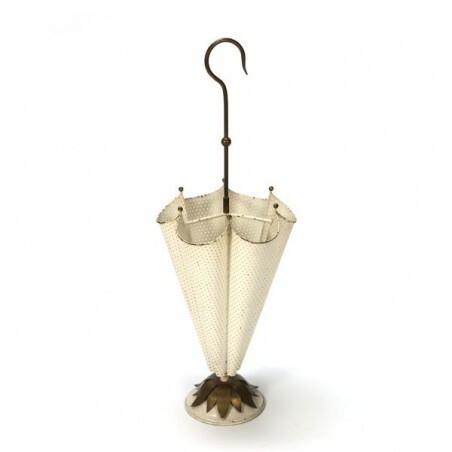 Vintage umbrella stand made ​​of perforated metal from the fifties. 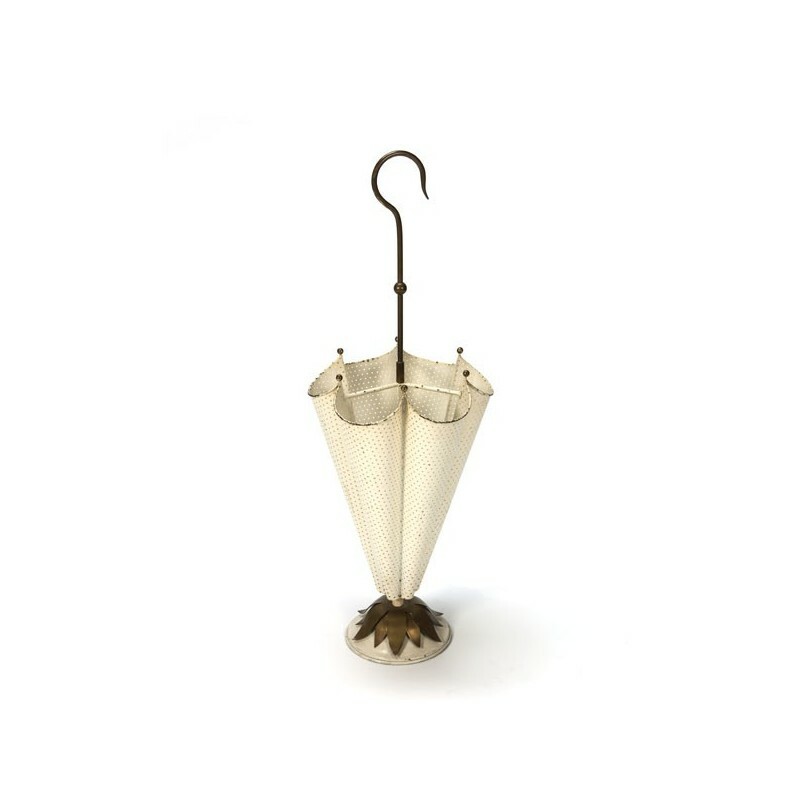 Cream in color with brass details. The conditite is fairly good, there are traces of use. The dimension is 78 cm H/ 27,5 cm in diameter.